I think most landscape photographers like a bit of snow. It's rare to see here in the south west of England, so when it does come it can transform the winter landscape from dull and boring, to crisp and white. It can really change the look of a location and provide opportunities to shoot something a little different. When my wife casually mentioned that snow was forecast my first reaction was for disbelief. It was November and probably a little early for snow. 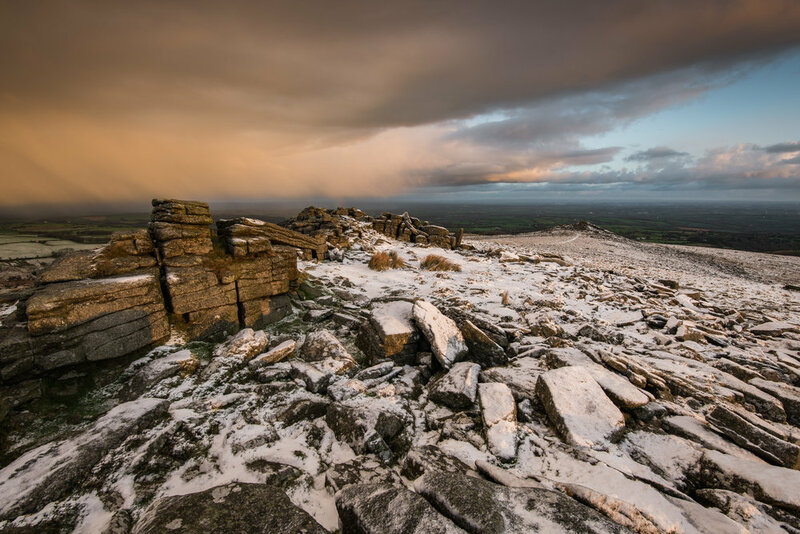 However, I'm not one to miss an opportunity so I checked the Will It Snow forecast and was happy to see that there was a 57% chance of snow on Dartmoor. 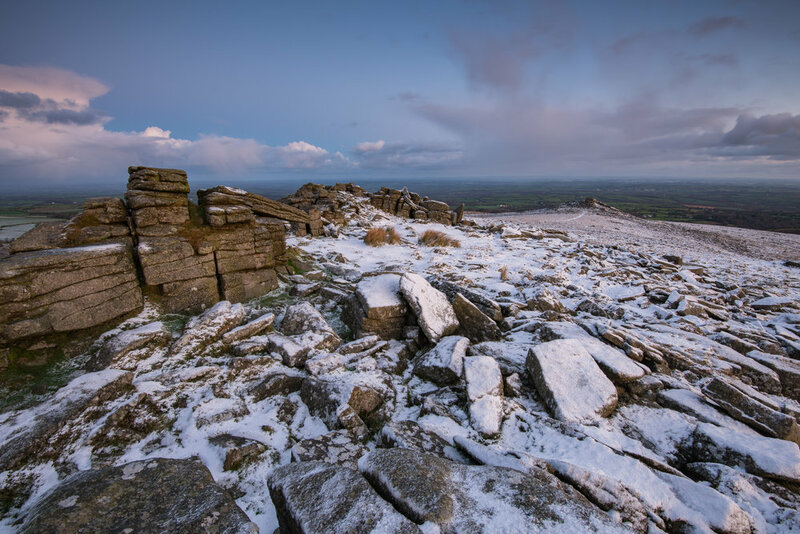 I got my thinking hat on and thought the higher up I went on Dartmoor, the greater the chance of snow there would be. I then remember Belstone Common, a location that I've photographed before. It's close to home, easy to access and importantly over 400m above sea level. Despite the 50/50 odds on it snowing, I couldn't miss this potential opportunity, so I got my gear ready and made plans for an early start the next day. Here are the images that I captured that you will have seen in the video. Nikon D850, Nikkor 16-35mm f/4 at 18mm, ISO 64, 3 seconds at f/13, Lee Filters 0.6 ND graduated filter. Nikon D850, Nikkor 16-35mm f/4 at 18mm, ISO 64, 1/5th second at f/13. Nikon D850, Nikkor 16-35mm f/4 at 18mm, ISO 64, 1/5th second at f/13, Lee Filters 0.6 ND graduated filter. Nikon D850, Nikkor 16-35mm f/4 at 19mm, ISO 64, 1/8th second at f/13, Lee Filters 0..6 ND graduated filter. I hope you enjoyed the video and the images I captured. 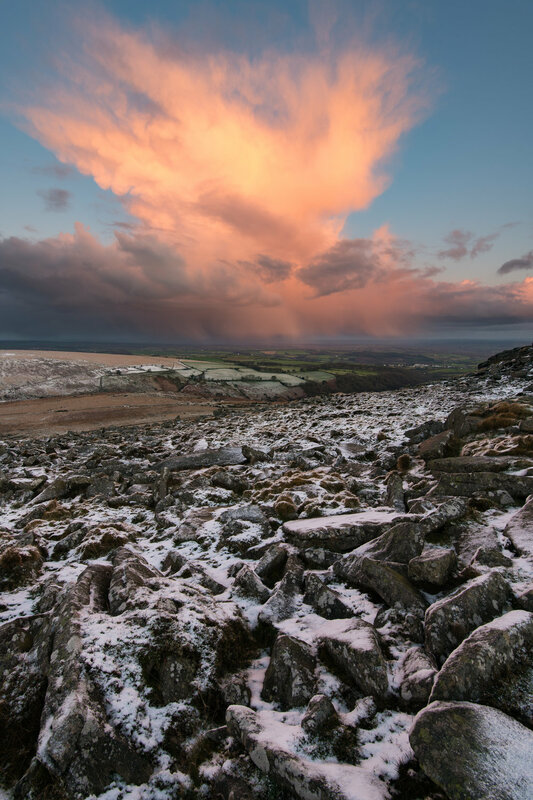 I certainly had fun up on Dartmoor that morning, despite the freezing temperatures. It really is mornings like that I look forward to. A lot of action, changing conditions, and plenty of opportunities to capture images. 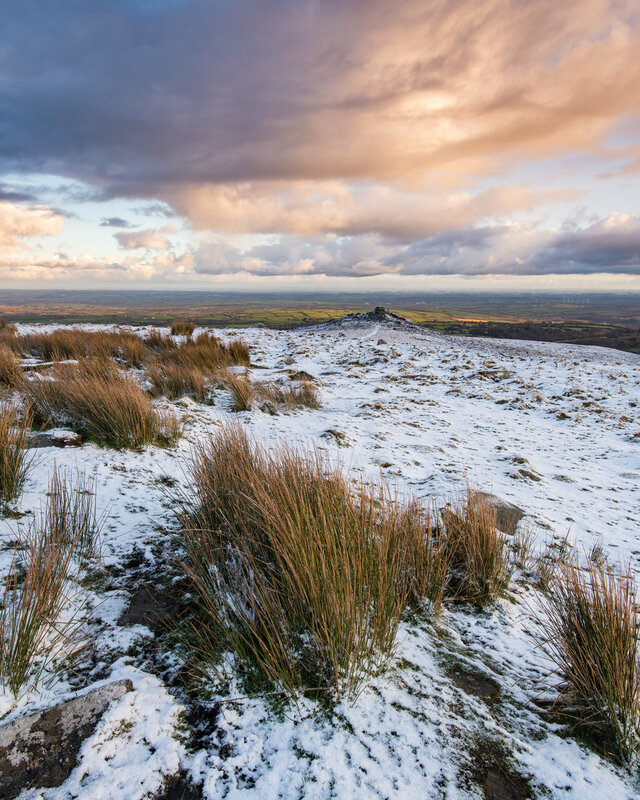 So have you photographed any snowy scenes this winter? What is your favourite season to photograph? Let me know in the comments below.